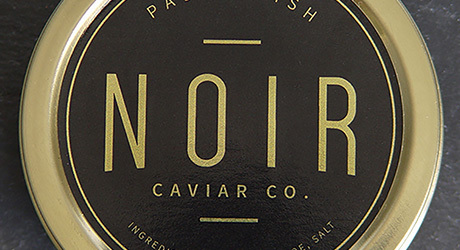 NOIR Caviar is a confluence of like-minded gourmets. Their goal was to create a luxury caviar brand that met their own high standards of quality as well as aesthetic beauty. Quality caviar must have a bright glossy color, fresh smell, uniformly sized eggs, and lightly salty flavor, NOIR Caviar meets all of these criteria. To ensure their goal, caviar is sourced from only the best sturgeon farms around the world and every shipment is graded as it arrives to ensure that only the best make its way into the NOIR Caviar line. To appreciate these efforts one only needs to try NOIR Caviar, the result speaks for itself. Buy Caviar Online shipped overnight fresh to your doorstep. This is truly the best caviar you can buy online! ALL CAVIAR ORDERS MUST BE SHIPPED OVERNIGHT TO ENSURE FRESHNESS.